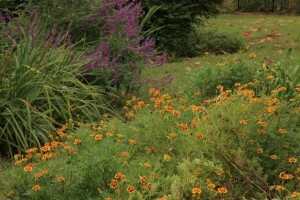 Heirloom Marigold “Legion of Honor” (Tagetes patula) offers an explosion of gold in front of the purple salvia (Salvia ieucantha). 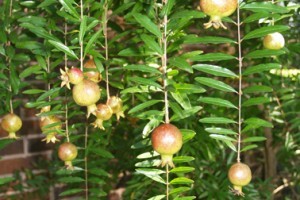 Dwarf pomegranate (Punica granatum nana) was included on a 1926 plant list found in the Welty attic. 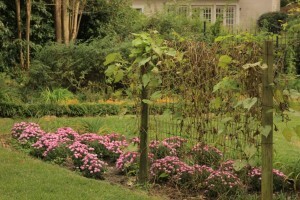 It has been replanted beside the garden steps. 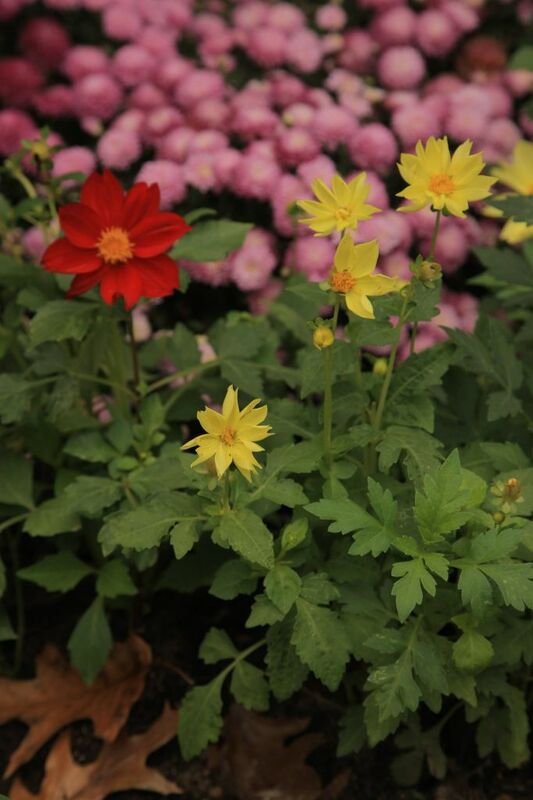 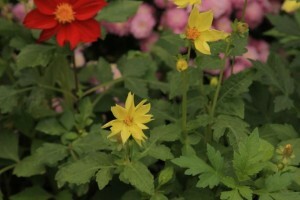 Chestina planted single dahlias such as these Unwin hybrids. 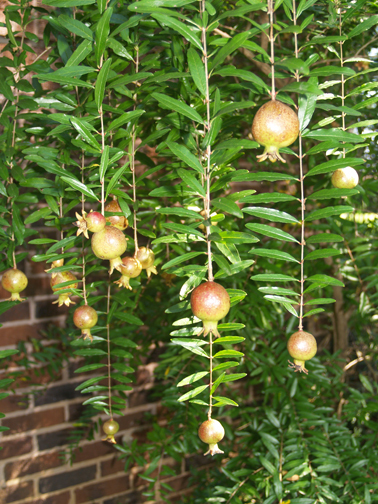 Moonvine (Ipomoea alba) gone to seed on the trellis drapes over fall chrysanthemums, with golden yellow classic zinnia (Zinnia angustifolia) in the background. 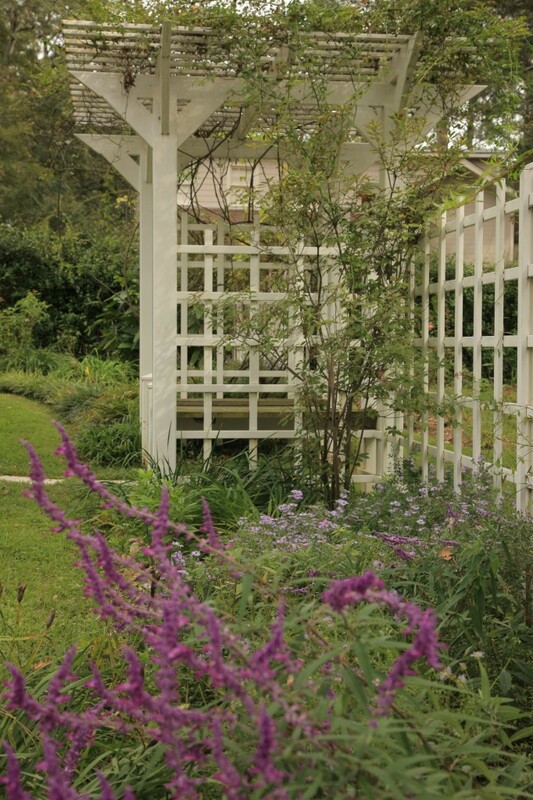 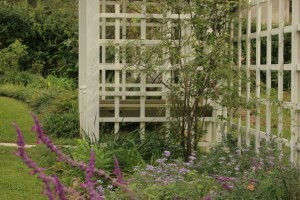 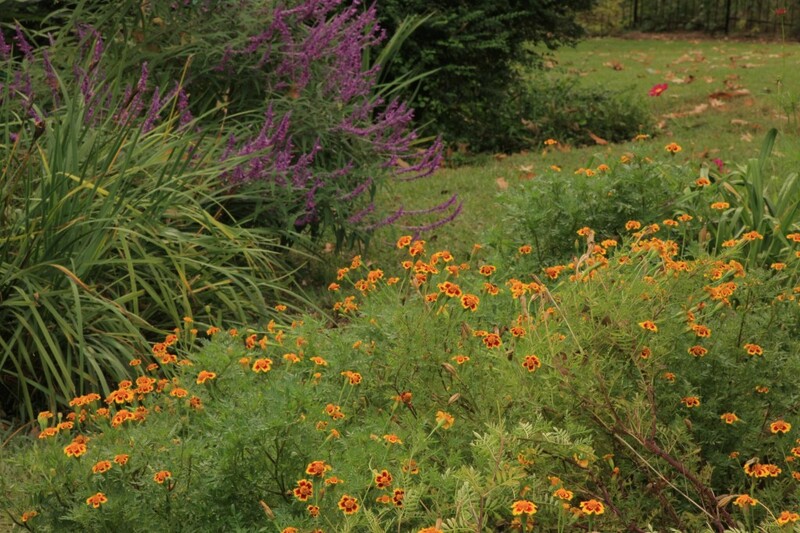 Purple salvia (Salvia leucantha) and asters (Aster oblongifolius) color the fall border near the rose arbor. 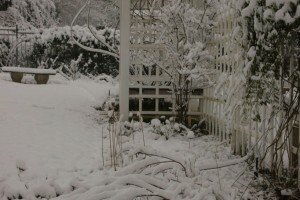 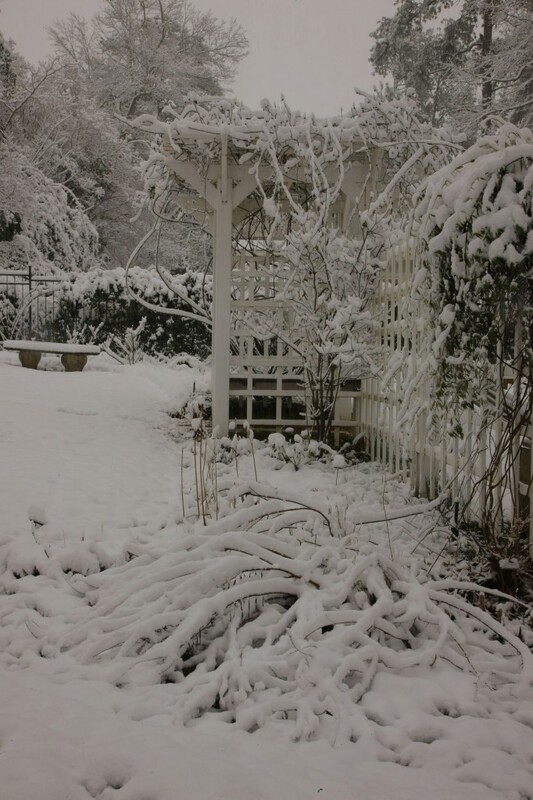 A rare winter snow blankets the same rose arbor, detailing form and structure in the garden. 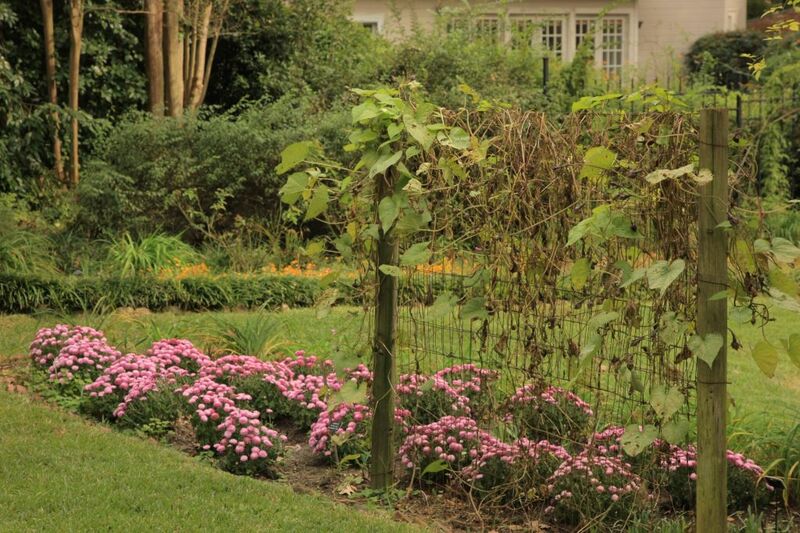 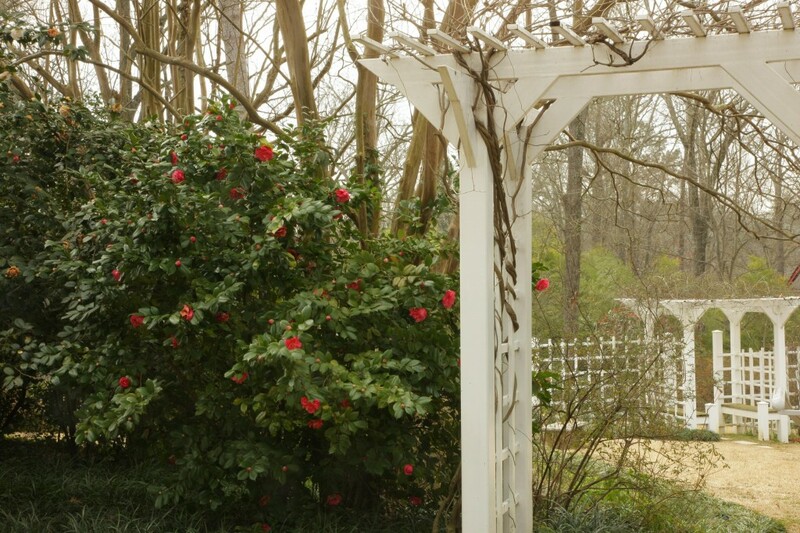 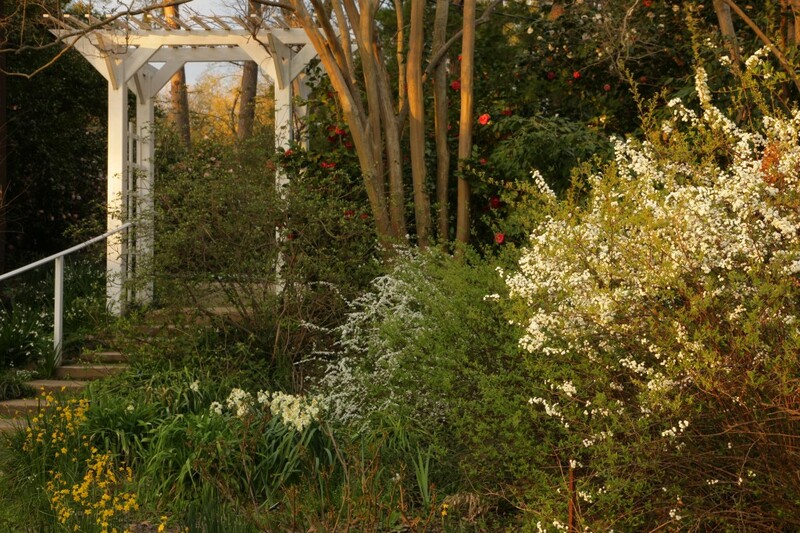 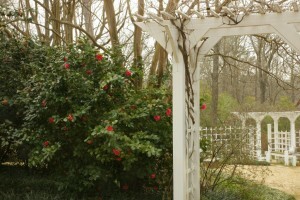 Camellias (C. japonicas) and crepe myrtles (Lagerstroemia indica) near the wisteria arbor mark a typical late winter day in the Deep South. 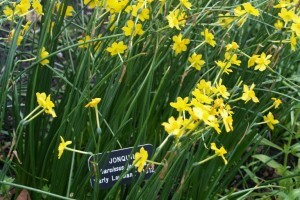 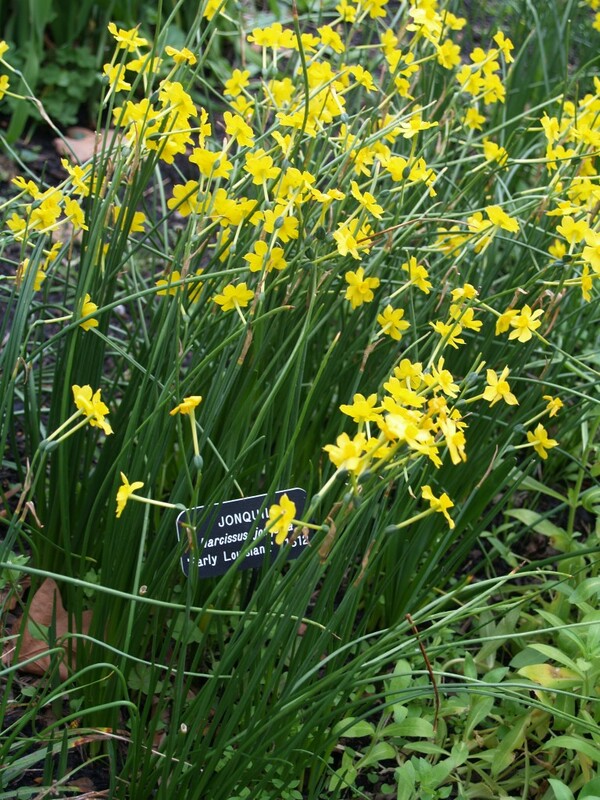 Tiny jonquil sweeties (N. Jonquilla simplex) perfume the air in early spring. 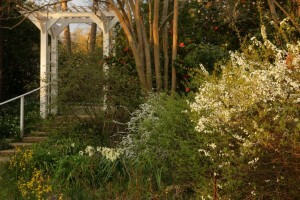 Pink camellias and white spireas bloom above early spring bulbs: summer snowflake (Leucojum aestivum) and narcissus ‘Avalanche’ and ‘ early jonquil sweeties’.